Keenly aware that its vital oil resources are dwindling, Oman has embarked on a major economic diversification program. Oman's economy has grown steadily in recent years, helped by rising oil income—owing to increased production made possible in part by enhanced oil-recovery techniques—and of course the rise in oil prices. Although oil prices have slipped of late, most analysts predict they will maintain an upward trajectory over the medium term. The country has a major economic diversification plan under way to help reduce its economic dependence on oil revenues. Sultan Qaboos bin Said al-Said, who has ruled Oman for 42 years, responded quickly to last year's social unrest with substantial political reforms and social welfare spending. He granted some legislative powers to the elected parliament, including a role in choosing his successor, and fired a dozen cabinet members who were criticized by demonstrators for abuse of privilege and corruption. The sultan also introduced unemployment benefits, raised the minimum wage and announced plans to create 50,000 new public-sector jobs, including 35,000 in the armed forces. The government has announced spending of more than $110 billion in its eighth five-year plan, which runs through 2015. The total projected revenue for the five years is estimated at $97 billion, leaving a deficit of $13.5 billion.The plan targets economic growth of not less than 3% a year at constant prices. Given that forecasts put GDP growth at an average annual rate of 5% at constant prices over the period, it seems achievable. Inflation is expected to average around 4%. AbdulRazak Ali Issa, chief executive of BankMuscat, highlights the government's commitment to economic diversification, employment creation, infrastructure development and industrialization. 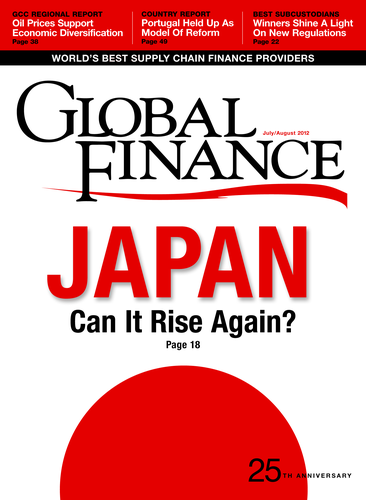 "The good macroeconomic growth will create beneficial operating conditions for the bank, as the government accelerates financial support, primarily for infrastructure projects." The five-year plan places special emphasis on the development of human resources, aiming to create 275,000 new jobs, or 55,000 jobs annually, according to Ali Issa. Total spending will be about $36.5 billion. The Omani government has been encouraging its citizens to seek employment in the private sector, but many employers favor less-expensive expatriate labor. The government has amended employment regulations to shorten the private-sector work week to five days, or 45 hours, in line with the public sector. A number of multinational corporations are already taking advantage of Oman's development plans. San Francisco's Bechtel is active in major Omani development projects, for example. A group led by Bechtel is building a new $1.8 billion passenger terminal at Muscat International Airport. The terminal, when completed in 2014, will double the airport's capacity, to 12 million passengers. The project also includes two office buildings and a four-star hotel. The firm also helped build the $1.4 billion Sohar Aluminum smelter in Oman, which was completed in 2008. Oman's economy stands to benefit from pledges of $10 billion of economic support from its fellow GCC countries over the next decade. The money will come from a $20 billion development fund for Oman and Bahrain, both of which experienced anti-government protests last year that were inspired by uprisings across the Arab world. The job-creating measure is designed to upgrade housing and infrastructure. Non-oil activities are expected to grow at an average annual rate of about 10% at current prices, and 6% at constant prices. Last November Oman joined the Gas Exporting Countries Forum, which includes 13 of the world's largest producers of natural gas, who control about 70% of the world's gas reserves. Oman's natural gas resources are actually bigger than its oil resources, and as the only GCC country with an Indian Ocean coastline, Oman is geographically closer to the fast-growing, energy-hungry markets of Asia. Even as it diversifies its economy, Oman is making ongoing investments in its oil fields—such as the Mukhaizna field, which it is developing in partnership with Occidental Petroleum of the US. Occidental and its partners are investing $2 billion to develop the field as part of a concession granted in 2005. Jamil El Jaroudi, CEO of Bank Nizwa, points out that although oil prices are an important factor in the economic growth of oil-producing and -exporting countries, they are not the only factor. "Stability and sustainability are important as well," he says. "There were many oil-producing countries that were badly affected during the global economic crisis, whereas Oman continued its growth—perhaps at a lower rate, but uninterrupted." Bank Nizwa, the first Islamic bank in Oman, had a successful initial public offering in June, raising $159 million. 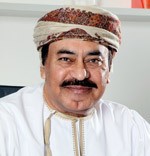 The IPO was 11 times oversubscribed, according to Oman Arab Bank, which managed the issue and was the lead underwriter. The shares rose 13% in their first day of trading on the Muscat Securities Market. "The oversubscription of the IPO was just one indication of how much the [Islamic finance] industry had been awaited," says Jamil El Jaroudi, CEO of Bank Nizwa. "During the road show we were able to feel, see and assess people's passion toward such an industry." 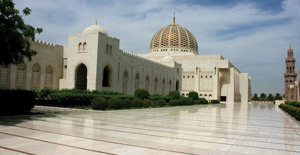 Islamic banking will prime economic growth in Oman. "It will bring in some funds that did not bank before, and it can lend itself to both financing and equity," El Jaroudi says. "Islamic banking is about sharing risk, and well all know that reward is a function of risk." For Muslims, who are in the majority in Oman, Islamic banking offers the peace of mind that they are conducting their economic activities in a shariah-compliant manner. There is relatively little banking penetration in Oman, compared with other countries in the region, notes Adbul Kader Askalan, CEO of Oman Arab Bank. "This is favorable for the banking industry as a whole," he says. "Further, research shows a strong demand for Islamic banking products and services in the country that is not being met." Most of the existing local banks in Oman, including Oman Arab Bank, have already announced plans to enter Islamic banking, subject to regulatory approval.